Occupied, a political thriller on climate change now on Netflix, reviewed. 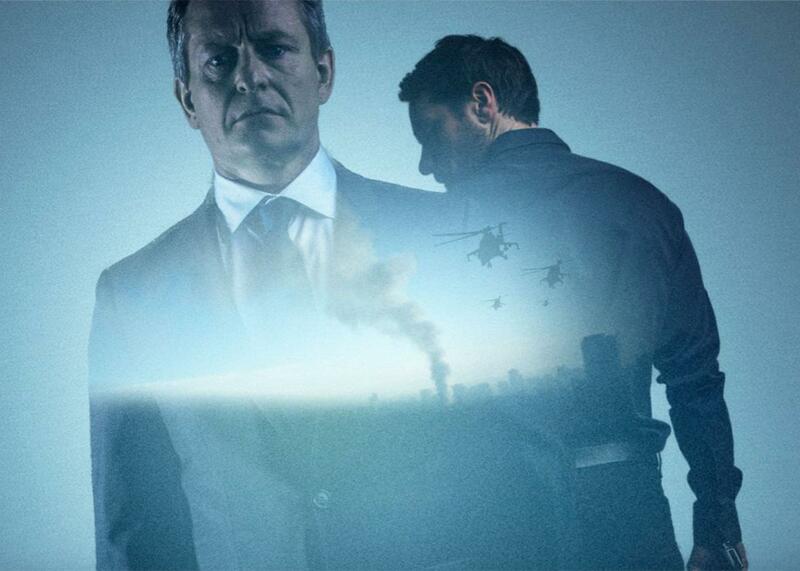 There is a telling moment at the end of the first episode of Occupied, the highly entertaining new Norwegian TV political thriller, now available in the United States on Netflix (with subtitles!). One of the main characters, sitting in a cafe with his family, looks bleakly through the glass at the shoppers in the mall outside, knowing they are oblivious to how fragile their world has just become. In Occupied, everything changes for Norway very fast, indeed. As the first episode opens, a new Green Party government announces its plan to live up to its rhetoric on climate change: It will cut off all oil and gas production in Norway. Unfortunately, at the same time, the Middle East is suffused in conflict and no longer exporting energy, plunging Europe into a severe energy crisis and a deep recession. Meanwhile, the United States is self-sufficient in energy and content to stay on the sidelines. With the EU’s support, Russia mounts a silk-wrapped invasion, quietly seizing Norway’s oil platforms and gas plants and resuming production. And that’s all in the first half of the first episode. Critics of Occupied, notably the Russian government, have challenged the plausibility of the show. While there’s certainly some poetic license involved, the plot is not all that far-fetched. And if you disagree, consider suspending your disbelief: Nesbo, after all, came up with the concept before Russia annexed Crimea. Could Norway really afford to cease oil and gas production? It’s difficult to see that happening, given how inextricably linked the Norwegian economy is with fossil fuels. On the other hand, most domestic electricity there is from hydropower, and the prime minister’s original plan in the show is to export “clean” energy from a thorium nuclear plant. That would be very costly, but then again, Norway is sitting on the world’s largest sovereign wealth fund and always looking for investments. It is certainly true that Europe could ill afford to lose access to Norway’s fossil fuels—or Russia’s. And while Europeans do not suborn Putin’s adventurism, they don’t exactly stand up to him, either. Who knows where that will lead if Putin keeps making the choices harder? It’s tough to imagine the United States declining to come to Norway’s aid in such a crisis, but it’s not completely impossible in a situation short of war, either, particularly with a nuclear-armed state involved (see: Ukraine). Neo-isolationist leanings aside, America has often stood on the side of stability in our foreign policy, including at the expense of our democratic values. In the show, U.S. indifference also has to do with our departure from NATO, and while that’s unlikely to actually happen, the alliance’s long-term health is by no means assured. A global energy crisis may seem unlikely right now, given that the world is awash in cheap oil, but it remains a possibility. With tensions rising between Iran and Saudi Arabia, including proxy fights around the region, it is not unreasonable to predict a rise in regional conflict. And North American self-sufficiency is not impossible, it cannot replace the 20 percent of global supply that flows through the Strait of Hormuz. Indeed, that self-sufficiency would be challenged in such circumstances, given that U.S. producers would just want to sell at higher prices abroad, raising the price at home, too. The world’s energy crisis would still be America’s energy crisis, no matter how much oil and gas we produce at home. It is the core dilemma of the series that rings most true, however: There is a strong generational tension when it comes to climate change. Making a transition away from the world’s overwhelming dependence on fossil fuels too quickly would be economically and geopolitically disruptive today, but making it too slowly will be equally devastating for the future. It’s a defining conundrum of the 21st century, and in real life, it will be no easier to resolve than it is in Jo Nesbo’s fictional Norway. Ultimately, though, the series is not really about geopolitical brinksmanship, energy security, or climate change. It’s about the small moral compromises individuals make, and how that aggregates into collective choices and ultimately, national character. Yes, that means the series is a social critique of Norway, albeit a loving one. But it is also a more general observation of human nature under pressure, and particularly the pressure of terrorism. In that respect, things could change very fast in the United States, too. You can watch the first season of Occupied, with subtitles, on Netflix.